Make a beautiful quilt for the dancer in your life, or anyone who loves dance. This lap quilt finishes to 63 1/2" x 67 1/2". The pattern is printed in color to make it easier to read. 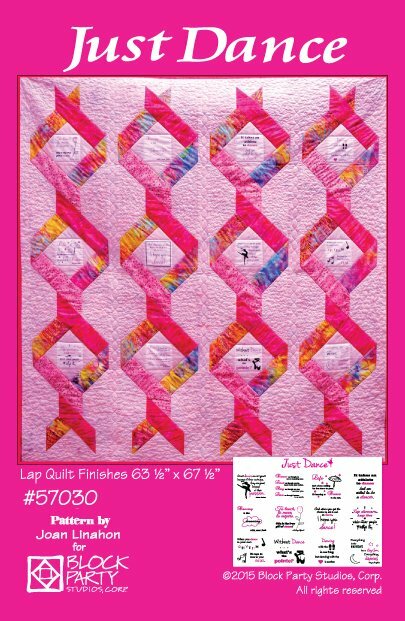 Our Just Dance Panel, is white only and printed in black and magenta to complete your quilt.